China Class crack the crime of the century! Some biscuits have been stolen from the staff room! Luckily, the LSPD have investigated the crime and they have discovered that the Year 3/4 teachers dressed up as Stone Age people in order to steal the biscuits! 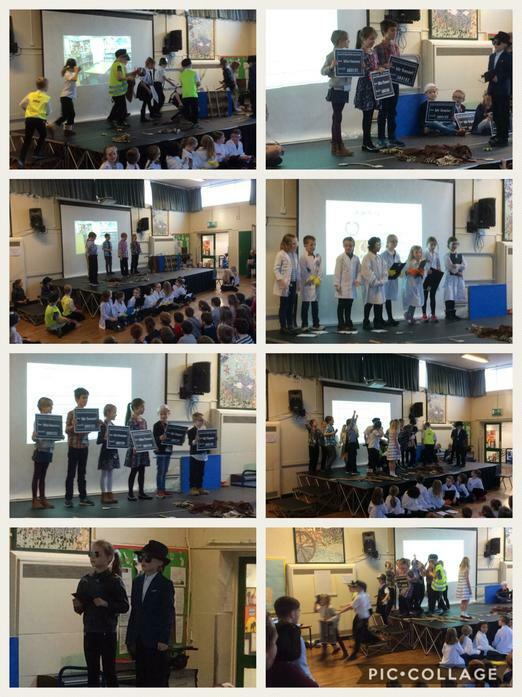 China class presented their findings and evidence in a fabulous class assembly today! After the assembly, parents were invited back to the classroom to do some science investigations. Well done to all of the children in China class and to Mr Tennant for pulling it all together.